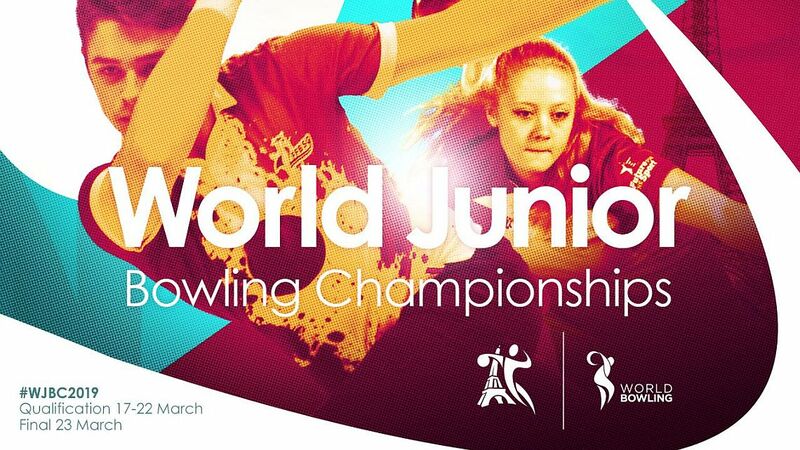 Entering the 2018 Pan American Bowling Confederation Women’s Championships, Colombia’s Rocio Restrepo felt like she hadn’t pulled her weight in recent international events and owed her team a much better performance. 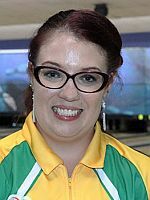 The 30-year-old right-hander delivered in a big way Friday at Sebelen Bowling Center when she tossed a final-frame strike to lock up a second consecutive team gold medal for Colombia in PABCON Championships competition. Fearured photo from left: Anggie Ramirez Perea, Maria Jose Rodriguez, Clara Juliana Guerrero, Laura Plazas, Juliana Franco and Rocio Restrepo. Anything less than eight on her first offering would’ve handed the gold medal to Team USA (pictured left), which had just erased 104-pin deficit and put all the pressure on the Colombians to deliver in the 10th frame. Restrepo added a second strike and got nine on her fill ball to give Colombia a 6,447 total, just 21 pins ahead of Team USA (6,426). Puerto Rico also had a strong final game and leapfrogged Canada to claim the bronze medal with a 6,118 total. “I didn’t bowl as good in recent events as I should have, so I figured this was the time to redeem myself,” Restrepo said. Left-hander Anggie Ramirez Perea, the singles silver medalist this week, led the effort for Colombia in the team event with a 1,381 six-game total. 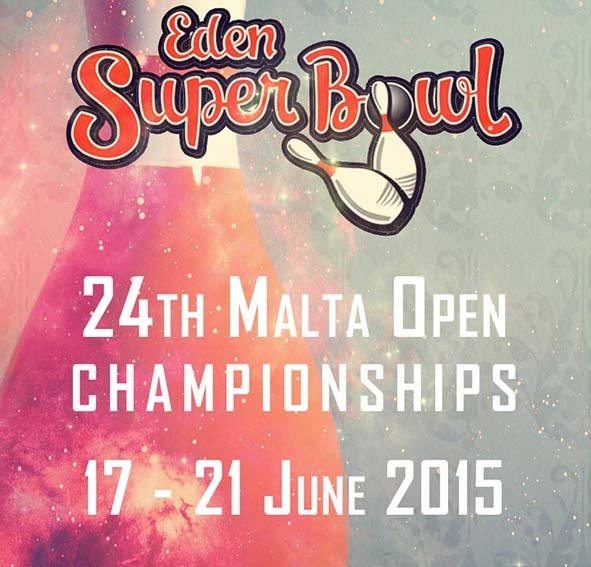 She was followed by Maria Jose Rodriguez (1,355), Restrepo (1,339), Clara Guerrero (1,209) and Laura Plazas (1,163). Though Team USA got out to a better start Friday, Colombia took the lead after the second game and led by more than 140 pins after Game 4. 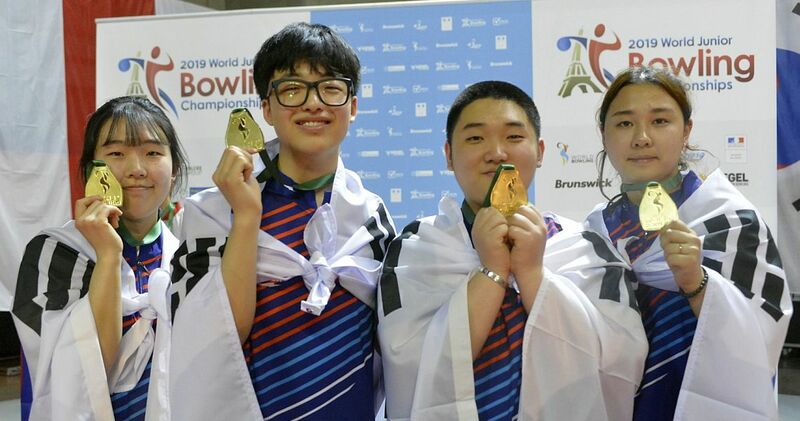 The late rally by the United States was reminiscent of the 2016 PABCON Adult Championships, where Colombia again needed some final-frame heroics after letting a 135-pin lead disappear in just nine frames. 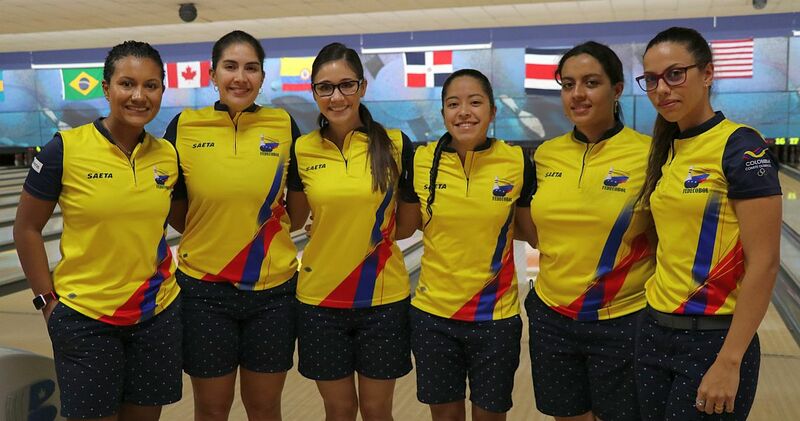 The 11-pin victory on their home turf in Cali, Colombia, in 2016 gave the Colombian women their first team gold medal in PABCON competition, and this year’s win served as validation. 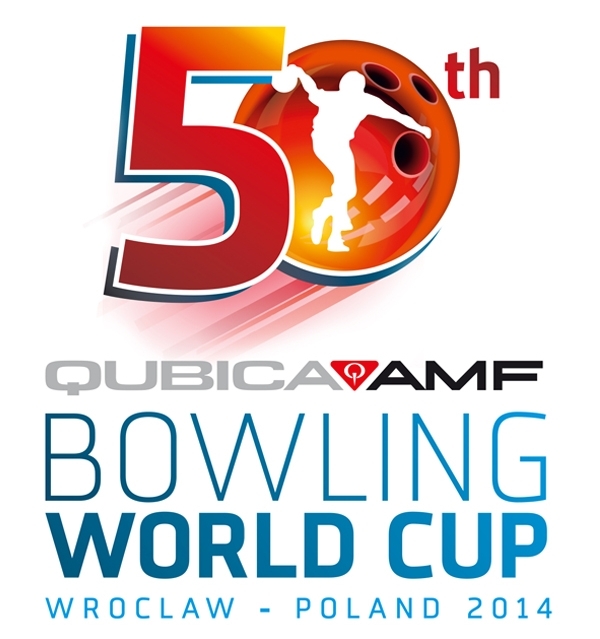 Overall, the Team USA women have won the PABCON team event 15 of the 19 times a five-player event was offered for the women, falling short in 1964, 1985, 2016 and 2018. 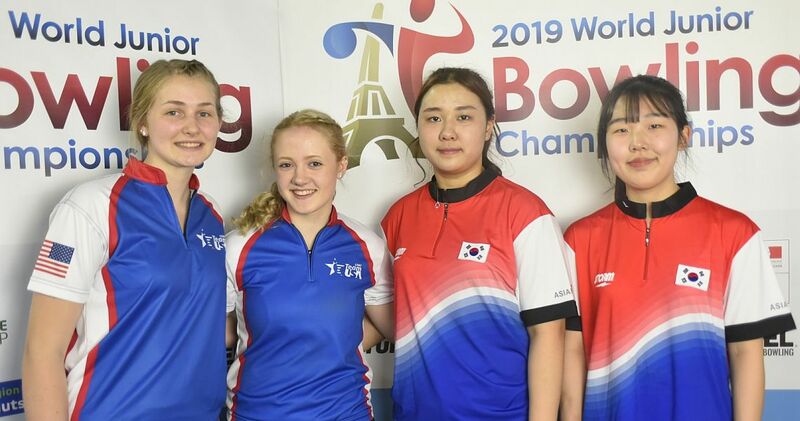 While Friday’s team loss was disappointing, it did not overshadow the incredible success Team USA had overall, including becoming the first women’s team in history to win all three doubles medals, followed by a claiming the gold and silver medals in trios. 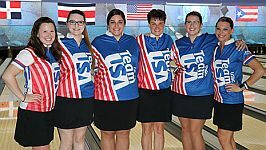 “I’m extremely proud of how the girls performed, especially with being down more than 140 pins with two games to go,” Team USA head coach Rod Ross said. 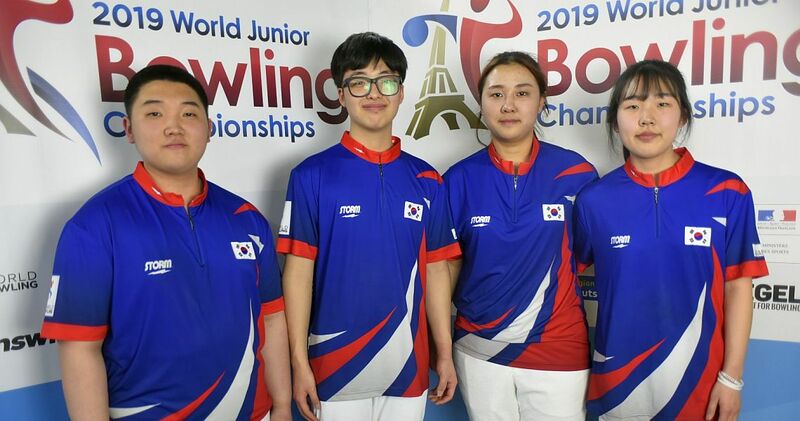 Missy Parkin of Laguna Hills, California, led the way for Team USA in the team event Friday with a 1,351 total and was joined by Jordan Richard of Tecumseh, Michigan (1,339), Shannon Pluhowsky of Dayton, Ohio (1,275), Shannon O’Keefe of Shiloh, Illinois (1,264), Liz Kuhlkin of Schenectady, New York (643), and Sydney Brummett of Fort Wayne, Indiana (554). The field this week featured 51 competitors representing nine countries – Bahamas, Brazil, Canada, Colombia, Costa Rica, Dominican Republic, Guatemala, Puerto Rico and the United States. 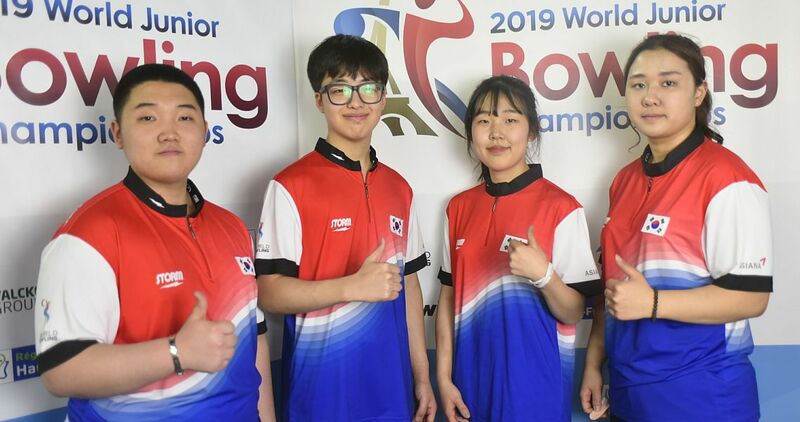 Along with the team title on the line, the all-events medalists also were determined Friday based on the week’s 24 games – six games in singles, doubles, trios and team. This week’s singles champion, Stephanie Martins (left) of Brazil, was able to ride the momentum of that record-setting performance and hold on for the all-events gold medal with a 5,453 total, a 227.21 average. 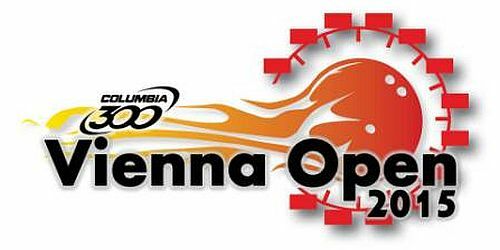 Colombia’s Anggie Ramirez Perea settled for the silver medal with 5,440, and Shannon Pluhowsky, also a left-hander, held on for the bronze with 5,428. The top 16 players in the all-events standings will advance to Saturday’s Masters match play, which will get underway at 10 a.m. Eastern. All six Team USA women finished above the cutline. They will be joined by five Colombians, four Canadians and Brazil’s Stephanie Martins.